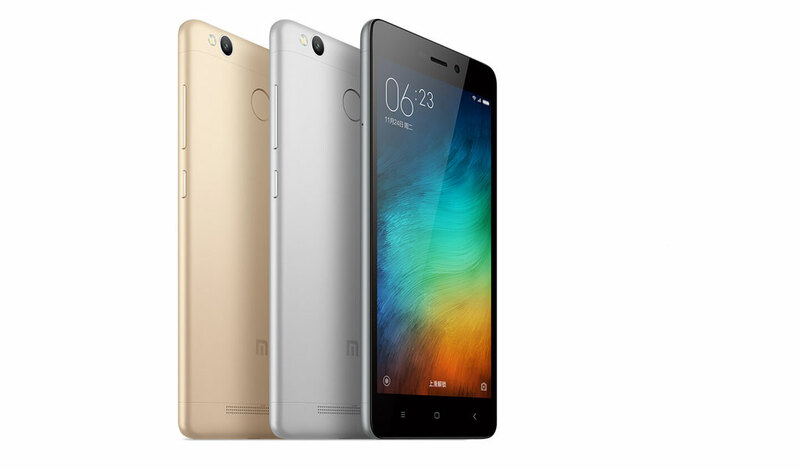 Xiaomi is soon going to launch Redmi 3s in India. Here are the few things that we already know about the Redmi 3s which has already been launched in China and is also available on its Global site however you can buy it from any Chinese websites and import it to India. Display: Redmi 3s has a 5-inch IPS capacitive touchscreen with 720p display and a 71.1% screen to body ratio with 16M colors. Processor & GPU: This phone runs on Qualcomm Snapdragon 430 octa-core chipset which is configured as Quad-core Cortex A53 at 1.5GHz and Quad-core Cortex A53 at 1.1GHz. GPU is handled by the Adreno 505. RAM & Storage: In India Xiaomi is probably going to launch the 2GB RAM variant with 16GB ROM and it also has a hybrid SIM tray to expand the internal storage up to 128GB through microSD card. The other version of the Redmi 3s has a 3GB of RAM with internal ROM of 32GB which is also known as Redmi 3s pro. Fingerprint Sensor: It has a fingerprint sensor on its back. Camera: Rear camera is a 13MP f/2.0 with phase detection autofocus and LED flash, the front selfie camera is a 5 MP f/2.2 which can record videos up 1080p at the rate of 30fps. Other feature like Geo-tagging, touch focus, face/smile detection, HDR, panorama is also available. Battery: It has a whooping and mind blowing 4100mAh battery which can last you for at least two working days. Connectivity: For Connectivity it has a Wi-Fi 802.11 b/g/n, Bluetooth 4.1, micro USB 2.0, 3G, 4G LTE, 3.5mm audio jack. Redmi 3s is around 8.5mm thick and is available in three color variants globally Gold, Dark Gray, Silver. This phone in their Global website is priced around Rs 11,000 for 3GB variant and Rs 9,000 for 2GB variant. Other phones like Meizu M3 note and Redmi Note 3 from the same company provide the similar specification but with bigger screen and processor. The company is expanding like never before after the launch of Redmi Note 3 which is considered as the best phone to buy under Rs 15,000. Last week the company has introduced Redmi Pro and Mi Notebook Air however, we don’t know the actual date for its launch in India. Xiaomi is also expected to launch its first VR headset in the coming week. Let’s see how does it goes.